Milestone Education Society (Regd.) Pehowa is wish to establish a Centre to study our great social reformers and their ideas with implications in the educational, social and cultural development of the oppressed society. 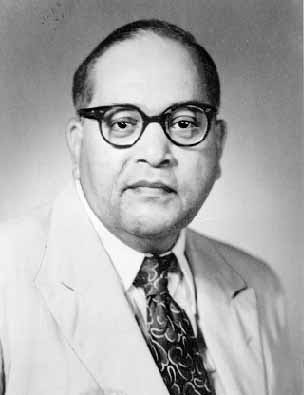 Dr. Ambedkar stressed on the empowerment of the oppressed as a means of their release from exploitation and injustice. To follow lines of our great scholars we want to initiate this programme. Every educational institution from secondary school to University College should be developed to become an agency of change. 1. Understand and disseminate the concepts relating to Social reformers lik Buddha, Jyotiba Phoole, Savitri Bhai Phoole, Ambedkar etc. and the philosophies enunciated by them related to social justice and equity, conflict resolution, empowerment of women, rural development and related topics. 2. Set up a Library and Reading room for researchers, students scholars and other readers outside the society, so that an increasing number of persons become acquainted with the thoughts of our enlightened thinkers. 3. Organize seminars/lecture series on some identified topics on such studies. Lecture series may be organized in the Centre or in any other suitable place and material of these lectures may be placed in the library / website & publish for the use of the researchers, students and other interested persons. 4. Conduct research/studies in the thoughts and programmes of the above mentioned thinkers. 5. Conduct field work and action programmes on the basis of constructive programme related to the thoughts of the respective thinkers. 6. Conduct a full-time or part-time course of about 3 to 6 months, or of similar duration, for a group of researchers/social workers/students/functionaries of nongovernmental organizations focusing on particular aspects of thinking and work of our great social thinkers. 7. The Centre also do some studies in folk literature and their ideologies in oppressed peoples. 8. Besides these centre do comparative studies may of specific areas of thinkers of India.